Make your way through our 13-inch MacBook Pro 2017 review! The 13-inch MacBook Pro for 2017 from Apple now boasts the battery life that matches the hardware’s power and the design’s beauty, even though it remains quite pricy. When the redesigned MacBook Pro was launched in 2016, the chips it came with were relatively old -the sixth generation Intel Core i5 or i7 processor along with integrated graphics. While the MacBook Pro’s technology and performance was up to par with similar machines sporting the new and improved seventh generation Core i5 and i7, the one thing that caused the 13-inch MacBook to lag behind its competitors was the abominable battery life. Fast-forward one year, and the revised edition of this machine has become available. 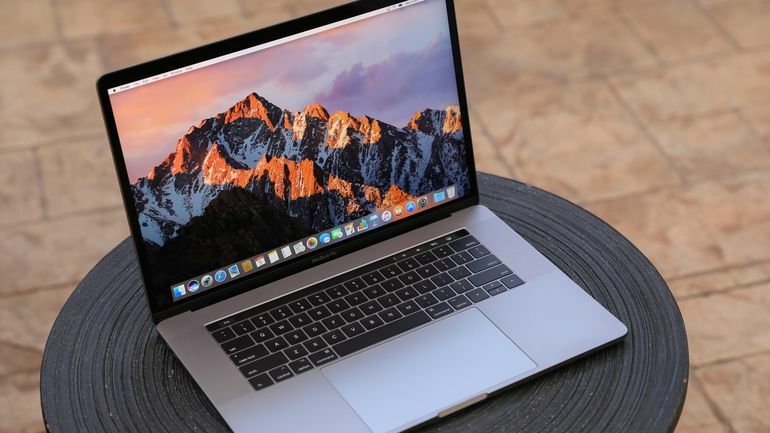 Although there are no huge changes on the outside, it is now provided with the seventh generation Intel chips as well as a new version of the Mac operating system High Sierra. It will get you through an entire day without needing to charge, either, so you can enjoy an occasional game of online blackjack for real money without worrying that your machine is going to die halfway through a presentation! Whether you will be using your MacBook Pro for online blackjack games or anything else, its outside is incredibly impressive. It is a svelte piece of machinery, available in both silver and space grey, and is light enough to not require an excess of exertion on the go. It has a similar thickness to the Dell touch-screen XPS 13, but is thinner than the Microsoft Surface Book 2, at only 23mm at its thickest point. The screen is one of the finest fitted to a laptop, and boasts great viewing angles, brilliant brightness, and cool colour accuracy matching the P3 colour space, which is vital if you will be editing images or video. The keyboard is still quite noisy at full tilt and has little give when the keys are depressed, but it is accurate, and the feel is solid. The MacBook Pro 13 Touch Bar will prove schismatic, with some reporting that it slows them down, but app support for it has grown exponentially, with many of the highest-profile applications reaping benefits from custom keys. The Touch ID Fingerprint Scanner works as advertised, and is a useful addition, although it does feel like a bit of a stopgap for facial recognition now that the iPhone X has Face ID. This laptop is one of the most refined, and most powerful, laptops currently on the market. Although there are cheaper options, none of them have quite the same combo of quality of build, fantastic keyboard, enormous trackpad and big selection of USB-C ports. The newer Intel chips have sorted out one of the biggest downfalls of the previous model, significantly improving the battery life of the machine. Although it is not quite at the ideal of ten hours, it is getting there at eight, and light work by means of it will be more than possible for most people.